This sweet green tea sauce is good for garnishing over vanilla ice cream, sweets, desserts, and in drinks. This recipe uses matcha, which literally means “powdered tea”. When you order traditional green tea, components from the leaves get infused into the hot water, then the leaves are discarded. With matcha, you’re drinking the actual leaves. Unlike traditional green tea, matcha preparation involves covering the tea plants with shade cloths before they’re harvested. This triggers the growth of leaves with better flavor and texture, which are hand-selected, steamed briefly to stop fermentation, then dried and aged in cold storage, which deepens the flavor. The dried leaves are then stone-ground into a fine powder. In addition to providing small amounts of vitamins and minerals, matcha is rich in antioxidants called polyphenols, which have been tied to protection against heart disease and cancer, as well as contributing to better blood sugar regulation, blood pressure reduction, and anti-aging. 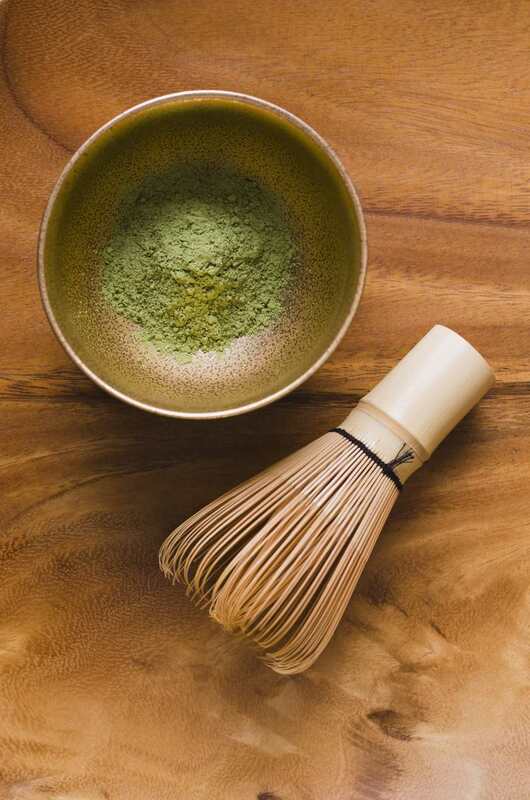 Mix the matcha powder with the sugar and the salt in a heat-proof, two-cup container. Pour in the boiling water, stirring until the matcha and sugar are completely dissolved. In a small saucepan, over low heat, warm the cream with the green tea mixture until tiny bubbles appear at the edge of the pan. Remove from heat. Cool completely and refrigerate.